B aptism for infants in Saint Christine Church is held at approximately 1:00pm, following the 12Noon Mass, on any Sunday, as long as the Church is available on that Sunday. Adults interested in Baptism, please see RCIA, or call the parish office. Since Baptism is a sacrament of faith, and through it the child is brought into the family of faith, the church, for the Baptism of infants, there must be the reasonable hope that the child will be brought up in the Catholic faith. If such hope is lacking because of the non-practice of the faith by the parents, the Church directs that the Baptism be delayed. Accordingly, it is expected that at least one parent or guardian of the child is a practicing Catholic. Only one sponsor is required, male or female, and that sponsor must be a practicing, confirmed Catholic. A baptized Christian and member of a non-Catholic church may act as a Christian Witness of a Baptism together with a Catholic sponsor. Parents are to take care that the name given the child is not foreign to Christian sensibility. All these expectations regarding Baptism are contained in the Church’s Code of Canon Law, canons 849-878. Arrangements for Baptism are to be made by calling Carol Ryan, Office Manager, at the parish office at 330 792-3829. To have a baby baptized here, parents must be registered members of the parish. Prior to the Baptism of a child, parents are expected to attend an individually-scheduled Baptism prep session with Deacon Dr. Robert Cuttica. Parents living out of the area, or who are not currently members of Saint Christine but who for personal or family reasons wish to have the Baptism here, are most welcome to do so. They will need verification, however, from their current pastor that they are practicing Catholics and members of their respective parish, and written permission from the pastor for the Baptism to take place here, and verification of having attended a Baptism Prep class. 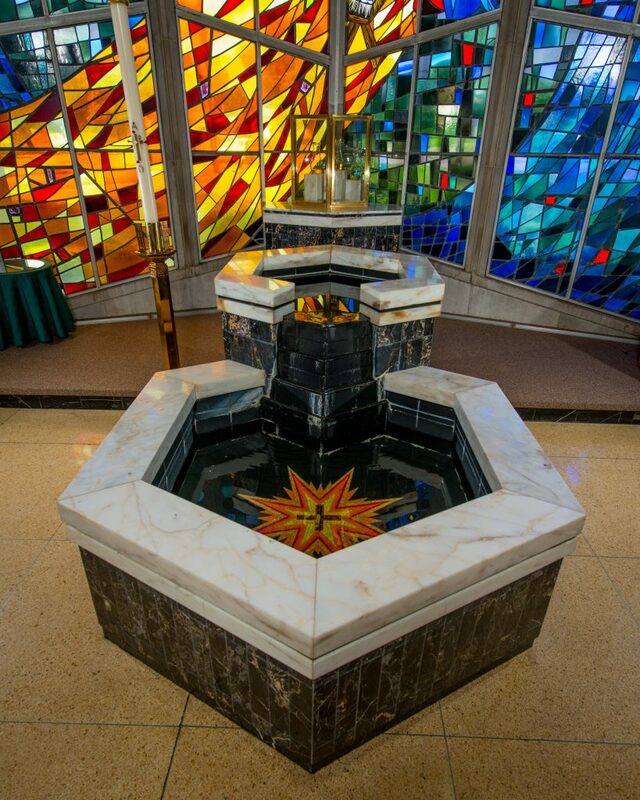 For more information about Baptism at Saint Christine Parish, please contact Carol Ryan, at the Rectory at 330 792-3829. Prior to the Baptism of a child, parents are expected to attend a baptismal-prep class focusing on the meaning of the sacrament of Baptism, the rite of Baptism itself, and its implications for the parents. Baptism prep classes are scheduled individually with Deacon Dr. Cuttica. Parents are most welcome to arrange to attend the class prior to the birth of the baby. To arrange to attend the class please call Deacon Dr. Robert Cuttica, at the Rectory beforehand at 330-792-3829. Pre-registration is required. Baptism is necessary for salvation for all those to whom the Gospel has been proclaimed and who have had the possibility of asking for the sacrament.